Let's face it - we've all looked for the best and the most effective strategy to win at blackjack. 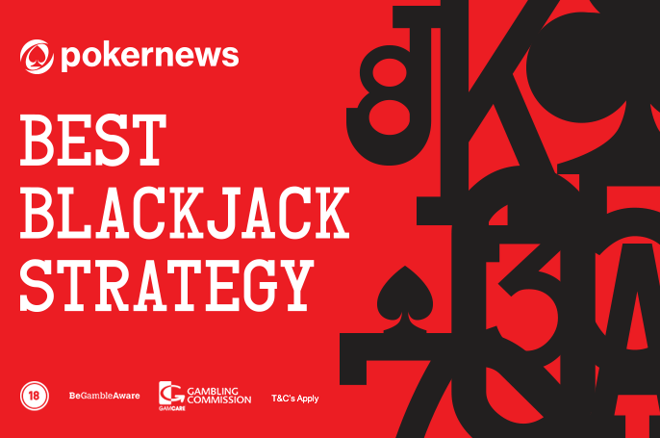 As a huge fan of blackjack, I tried countless betting strategies. I won big, I lost big. Luckily, all of this experience helped me to understand one thing: moderation is the key. After all I've been through, I want to share my knowledge with you. My goal is to maximize your winnings and to minimize your losses. We just want to beat the dealer and bring home as much money as possible. Even though a fool proof blackjack strategy doesn't exist, the info below can help you play smart and win more. Losing all your savings won't get you anywhere and will only make you hate casinos. So, let's make the best out of your blackjack casino experience and help each other to you win more. After all, the most important thing is to have fun. And the more you know, the more fun blackjack gets. First things first. Even though the most important thing that keeps you from losing big is money management - and as a poker player I assume you are A PRO at this -, you also have to know the basic tactics to deal with cards effectively. As you know, there are a few decisions you can take depending on your cards and the dealer's open card. Sometimes, all it takes is basic logic. Like you don’t want to hit (ask for an additional card) if you have a 20, and you don’t want to stand if you have only a 3. However, things are not always that simple. That's why our experienced team prepared a detailed table to show you how to play every hand at blackjack. Use it to know when it is recommended to hit, to stand, or to do something else. Yes, you can use this basic blackjack strategy table when you play online blackjack. Whether you play virtual or live dealer games, you can (or better, you should) base your blackjack play on what’s indicated on this blackjack cheat-sheet. Now that you have a basic understanding the different blackjack actions, let's move to the best blackjack betting strategies. If you're a beginner, I completely understand your fear of high stakes. I also wouldn't want to lose a fortune on my very first game. Or on my second. And third one. That would discourage me from playing blackjack ever again. That's why I suggest you to use a conservative approach when it comes to betting in blackjack. Raise your bet every time you win. This strategy is based on the idea that wins and losses come in streaks. You might lose five times in a row, but then, miraculously, win three consecutive bets. I know, I know, blackjack is a game of chance, and the outcome is random. My long-term experience says that there is a pattern. I just can't explain it logically. Just look at some random sequences made with the probability theory in mind. Usually, you can see some sort of streaks, and this can be applied to blackjack too. So, all you need to do is raise your stakes little by little - but only when you win. The Martingale blackjack strategy is my favourite. This is a blackjack system that helps me win often - but only when I have a lot of money to invest on my games. If you don’t have at least $500 to play online - don’t use it. If you do - keep reading and get ready to have fun. The Martingale strategy is completely different from the conservative blackjack approach. You have to be brave to use this one. You double your bet… every time you lose. Now that sounds like a downer. How can you ever win if you keep losing - and losing more and more as you keep playing? Even if you lose lots of money on several consecutive losses, everything changes when you win. As you've been doubling your bets, the one that brings you victory makes your bankroll grow to the point of covering the amount you lost before that happened. However, there's one thing to keep in mind. One very important thing. Once you go over your initial bankroll, STOP. The Martingale blackjack strategy doesn't work when it comes to long gaming sessions. There have been cases when I lost all my money, and that happened because I was greedy. The best approach is to play blackjack often and stop immediately when you get some extra cash. This way, you will benefit greatly in the long run and won't be left penniless at the end of the day. You are very likely to win at least one hand per round of blackjack - and that's all you need when applying the Martingale blackjack strategy. Just keep in mind that you need a big initial bankroll for this one. You need to have enough money to keep doubling the bet until you finally beat the odds. This is the site where I play all my high-stakes blackjack games. If you sign up on this page, you get $1,000 as a welcome bonus. Use it wisely. The 1-3-2-6 blackjack betting strategy doesn't sound like the most exciting thing ever - especially after you've read about the Martingale strategy - but it can still help you a lot. Most importantly, it doesn't require to have an enormous bankroll, so that's a plus. So, what do the numbers in the title of the strategy stand for? Your bets after you win a hand of blackjack. In other words, you trigger this system after you win - and cut it once you lose. This way, you won't lose all your money at once. Once again, this blackjack strategy is based on the idea that winnings come in streaks. Also, it gives you a systematic approach to your bets. You don't make your bets randomly and that gives you control over the game. Let's take a look at an example of the 1-3-2-6 blackjack strategy. Of course, let's not forget that you would immediately cut this sequence if you lost. You would then return to your original $10 and wait for another win. It helps you manage your bets, not to overspend, and gives you an advantage when you hit a hot streak. Even if your winnings might look like rookie numbers at the beginning, you'll have an advantage in the long run. Even though we all want to win at blackjack every time we play, it's impossible. Luckily, you can maximize your winnings with a few simple tips that are as important as an effective blackjack betting strategy. Say NO to insurance. Blackjack insurance is probably the worst thing that could happen to this casino game. It's useless, money-draining, and should be thrown out the window immediately. Don't use it! Keep the house edge in mind. You can't expect to win at blackjack every time you play. That's because it has a house edge which ensures that the casino has an advantage in the long run. The best method to avoid the house edge is to stop playing as soon as you win extra money. Check the rules of blackjack every time you play. It comes as no surprise that such a popular game like blackjack has tons of different variations. Each of them has slightly different rules. Check them out before you make your first bet. Choose 3:2 over 6:5 payout. Some casinos decide to cheat a little and make the payout 6:5 instead of the usual 3:2. Playing at such a casino means that you won't win as much as you should. Avoid places with bad payouts for blackjack players. And now it's time to test all these best blackjack strategies in real life. Also, use these tips and study the blackjack action strategy table. After a short while, you'll find yourself winning more and more. However, the most important method to win at blackjack game is, once again, moderation. No blackjack strategy will help you if you waste your winnings playing blackjack all day long. You must quit as soon as you make even the smallest profit, or otherwise everything will go to waste. If you play small, your winnings will accumulate, and you'll win big in the long run. And that's the most important thing of all. To put everything into action, you need a casino. Luckily, I have two suggestions at the moment - and I’m going to share them with you. But why can’t you play blackjack at any random online casino? Not all casinos are created equal, and some are created to steal your private data or to trick you. However, don’t worry - all the casinos presented on PokerNews are licensed and 100 percent safe. Pick one - and good luck. As you know that you can win at blackjack - do it. JackpotCity is a perfect place to both practice blackjack and play it for real money. >> Check it out here. This casino has 30 different blackjack variations. And you can play all of them for free. All new players get four bonuses for their first four deposits - and it goes up to $1,600. Just register here. If you ask me, it’s the best time to start playing blackjack at JackpotCity Casino. Crave for even more blackjack games? Nobody I know has ever complained about the variety of blackjack games at Spin Palace. Because there’s nothing to complain about. The casino offers over 40 different versions of this game - and it keeps adding more every year. Another great thing about Spin Palace is the bonuses. Register now and receive a welcome bonus that goes up to $1,000!